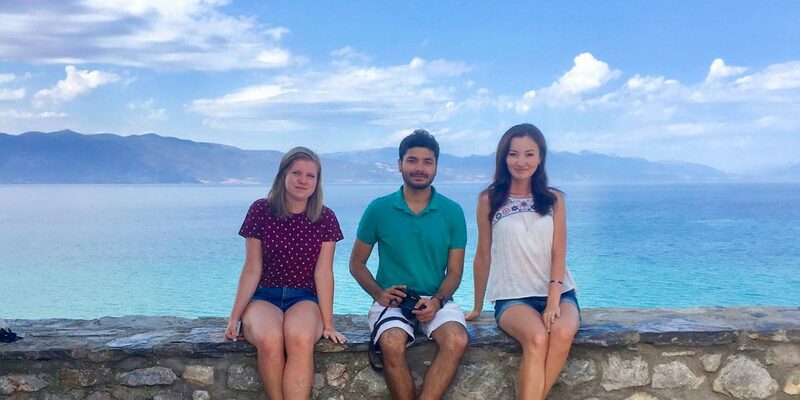 It was the summer of 2017 and I got this great opportunity from my university in India to join this student exchange program organized by IAESTE to work as a student intern at the University of Information Science & Technology “St.Apostol Pavle” in Ohrid, Macedonia. I did not give a second though to it and said yes right away, as I would never want to miss such a big opportunity to visit this beautiful place in Europe and at the same time work, gain experience and meet new people from around the globe. I came to Ohrid by mid-august and joined UIST just after 2 days of getting aquatinted with the city. I met my mentor Mr. Goran Shibakovski at the university and I feel so lucky that I was assigned to him. We had our first meeting and discussed what I wanted to work in. He gave me full freedom on choosing my topic of work and we finally decided to work on the project called “My Chik-fil-A”. This project was basically a Store Design & Visual Merchandising competition organized by PAVE Global for a well-known USA based fast food chain Chik-fil-A (Est. 1946). The objective of the design challenge was to create and share ideas for a store design (interior & exterior) and visual merchandises for the store to open up their outlets in today’s college campuses. I had to involve creative designs and technology together to connect Chik-fil-A to the students in the campus. I along with Mr.Goran held regular meetings at the university brain storming on ideas and coming up with innovative concepts for the design. 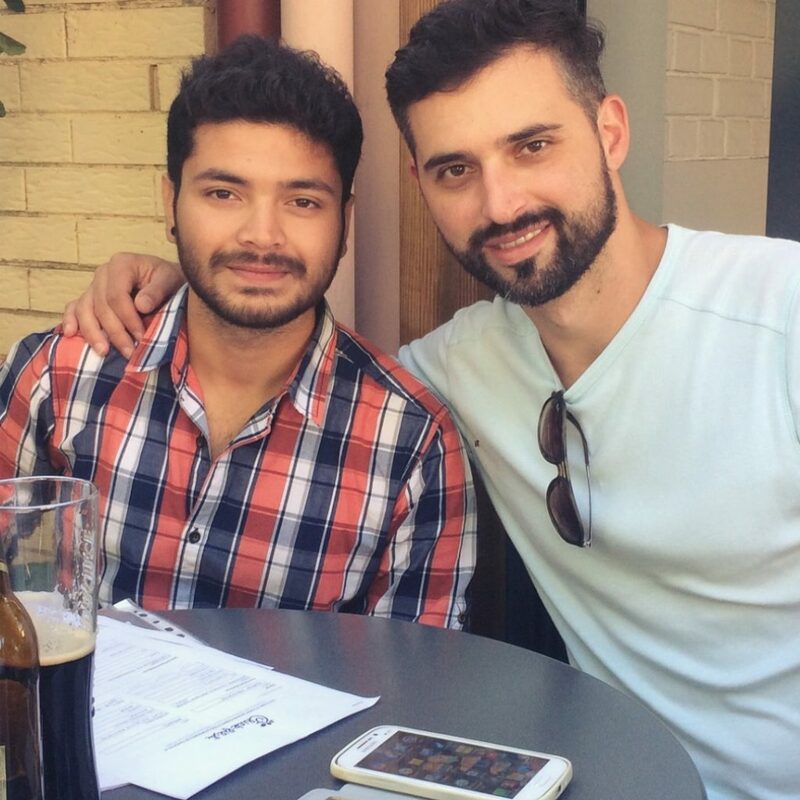 He gave me a lot of motivation and helped me out throughout the project. Other faculties at the university were also very supportive of me and shared with me their suggestions and advice. It was really fun and interesting to work on this project and it helped me go out of my boundaries and gain knowledge at the same time. Apart from working I also got ample time to spend with other students at the university and the members of IAESTE who were very friendly and welcoming. 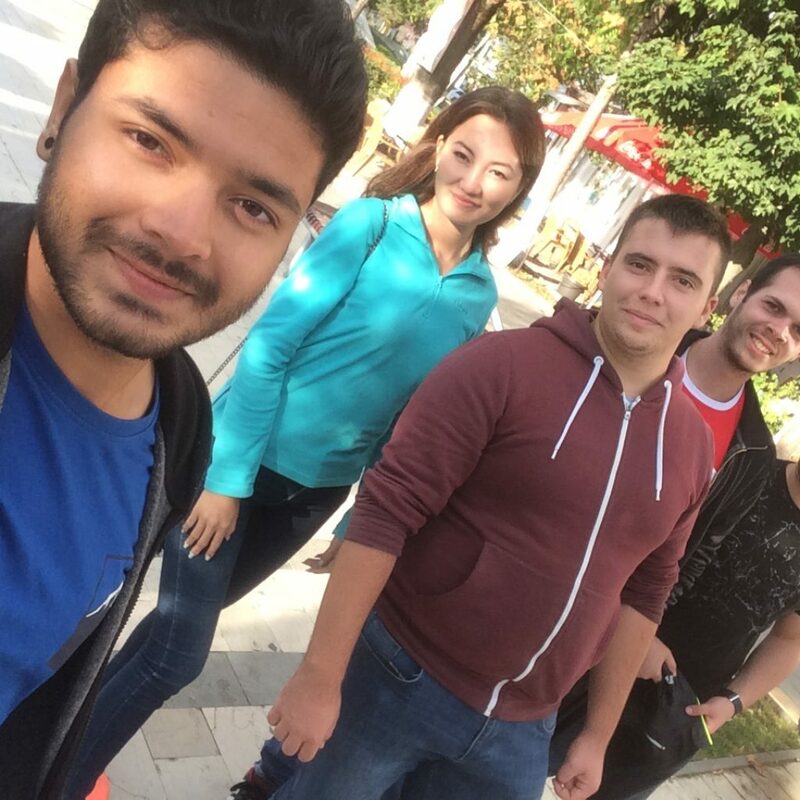 Made new friends and also traveled around Macedonia on the weekends with them. I tried different Macedonian cuisines, learnt a bit of the Mekedonski language as well. At least I can now say “Dobredoidofte Makedonia” and “Kah ko si” almost perfectly. Finally, it was September end and the day had come for me to wrap up with my project and leave for India. I was excited to go back home but sad at the same time because I knew I would miss these days a lot. I am very happy that I created amazing memories and spent beautiful moments which I will cherish forever in my life. The project was submitted to the organizing team and this November 7th the results were out. It was unexpected but I was overwhelmed to know that my design got selected along the top 5 entries among 400+ entries from all over the world! My design has been awarded the “Honorable Mention” title and I have been invited to attend the PAVA Gala ceremony in New York City on 6th December, 2017 to receive my Award. This was something which really made me feel honored and motivated. Had work really paid off! I am thankful to all the people who supported me in completing this project and I am ever grateful to Mr.Goran for his immense love and support. I wish to visit Ohrid sometime very soon. These amazing days will always remain in my heart forever!